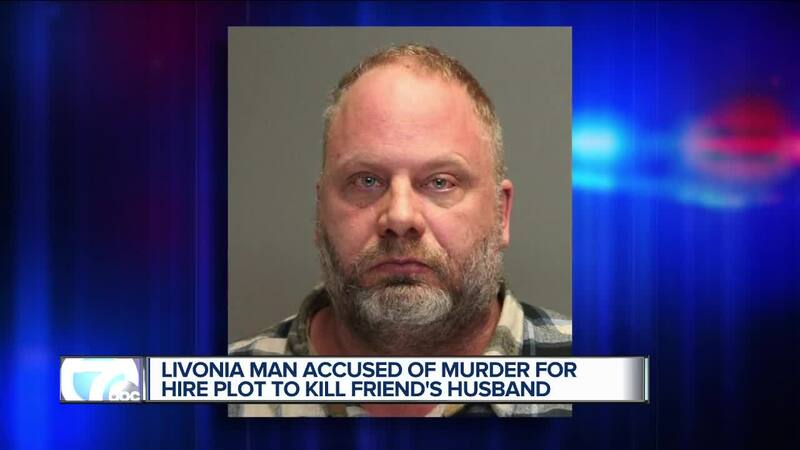 LIVONIA, Mich. (WXYZ) — Wayne County prosecutors have charged a 48-year-old man for his alleged involvement in a murder-for-hire plot in Livonia. On April 2, it is alleged that Scott Fraser Porter solicited a male acquaintance to kill a female friend's husband. An investigation by the Plymouth Township Public Safety Department led to Porter's arrest on April 3. Police say the case remain under investigation. Porter was charged with solicitation of murder and two counts of using computers to commit a crime. He was arraigned on April 5 in Plymouth and given a $500,000 cash bond with a tether. Porter is due back in court for a preliminary examination on April 12.